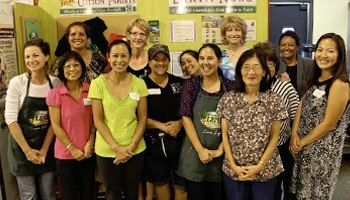 Down to Earth holds regular events for the benefit of the community. Since our early beginnings in 1977, our goal has always been to assist in improving the health and quality of life in the communities we serve. Over the years, we have hosted numerous events and exhibits to support local isle communities in their efforts to more fully embrace healthy and sustainable living. Most notably are the regular cooking classes we’ve offered, for over thirty years, which are particularly popular. Through events at our own stores, local schools, hospitals, and in the community, we’ve had the honor of working directly with many great local organizations and community leaders. 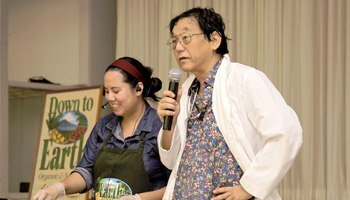 These include Dr. Shintani and his Hawaii Health Foundation, the Vegetarian Society of Hawaii, the 'Ekahi Ornish Program, Castle Medical Center, Kroc Center Hawai'i, First Insurance Hawaii, and many more.